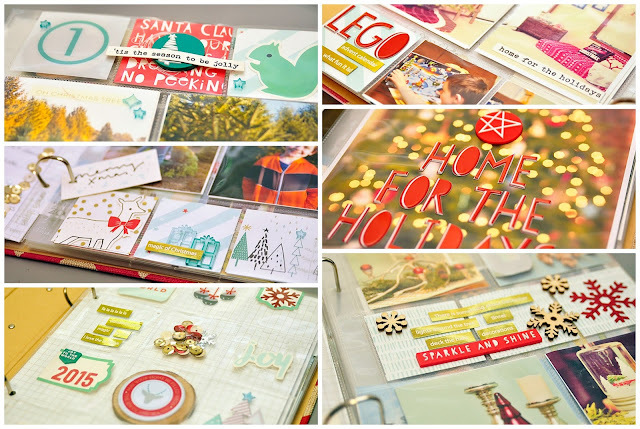 I have a mood board posted today over on the Butterfly Reflections Ink blog! Be sure to check it out for some color inspiration! Here's a peek at the layout I created to go along with it! Hello there! I'm blog hopping with Pinkfresh Studio today, showcasing the FABULOUS Christmas Wishes collection! You should have come here from Aimee's blog. If not, head on over to the Pinkfresh Studio blog to start from the beginning! I've been wanting to do December Daily for years now but never quite had my act together to get it done. Or even start it. Well this year I have vowed to conquer it!! Christmas wishes is the perfect collection to use as a base for my album. I can't even begin to pick a favorite item from the collection, but the puffy stickers and alphas are a good place to start. I mean, seriously!? Cuteness! Speaking of cute...the deer. the squirrel. All the wintry animals. They are whimsy perfected. I LOVE label stickers. I use the heck out of them. The label die cuts and gold foil stickers say pretty much everything you would ever want to say in a December Daily album! Have I gushed enough?? Seriously. I love this collection that much. I have many more pages to go in my album but I think I'm off to a good start! Cassandra is your next stop in the hop! Be sure to comment along the way. 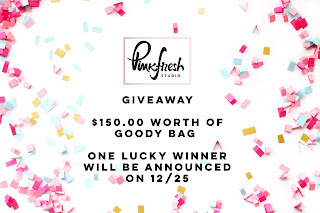 One winner will be chosen from all the comments to win a prize package from Pinkfresh Studio worth $150!! Awesome, right? And I want to give a HUGE shout out and special thanks to Kinnari at Pinkfresh Studio! She is amazing to work with, and sadly this is my last month on her fabulous Design Team. It's been so much fun! Hello there! 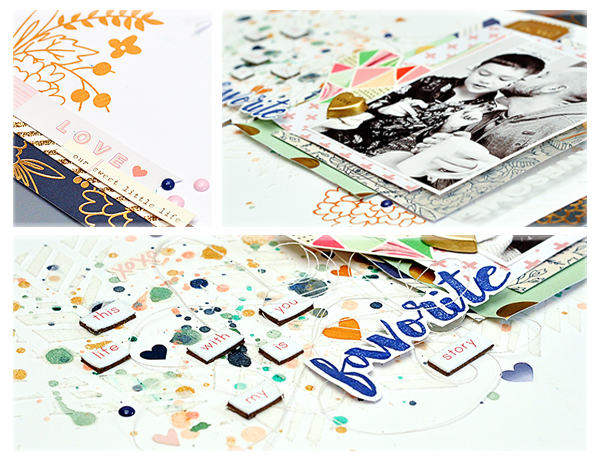 Have you seen the reveal of Pinkfresh Studio's July embellishment kit? As always, it's a fun one! 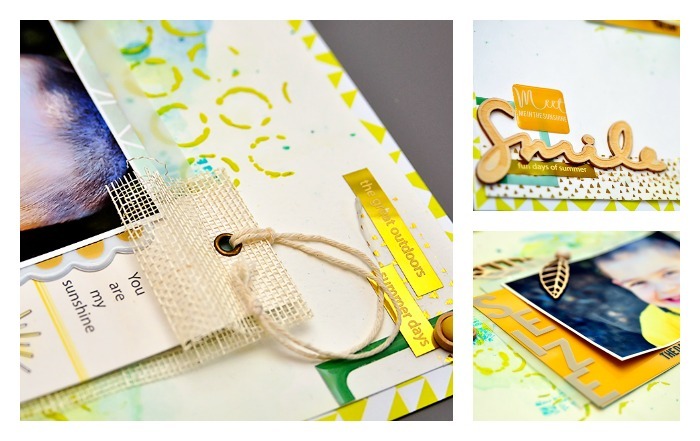 The ombre canvas tags are GORGEOUS, I love the exclusive acrylic words from Color Cast Designs. And the gold alphas? A touch of gold is pretty much necessity these days and these alphas are the perfect size too! I also ADORE the doodle heart veneers! I am going to need many, many more of those! Pretty much, I love it all. 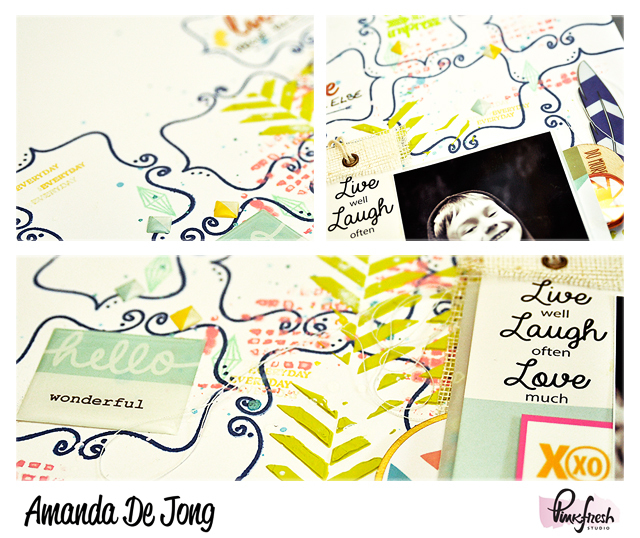 I couldn't resist having a little fun with this gorgeously rich paper from the new Happy Things collection. I tried not to overthink this layout, like I tend to do, I just wanted to have fun with it and be my normal random self. Like the layout says: Be True. Choose Joy. Dream Big. & Be Yourself. If you haven't picked up the kit or the new collection, seriously you SHOULD! Happy Things just begs for whimsy and fun and I can't wait to see what people do with it! I know it is on it's way out to retailers now. 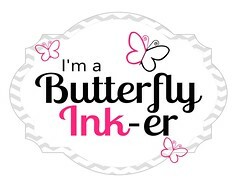 One shop I know for sure will have it is Butterfly Reflections Ink. Hello there! 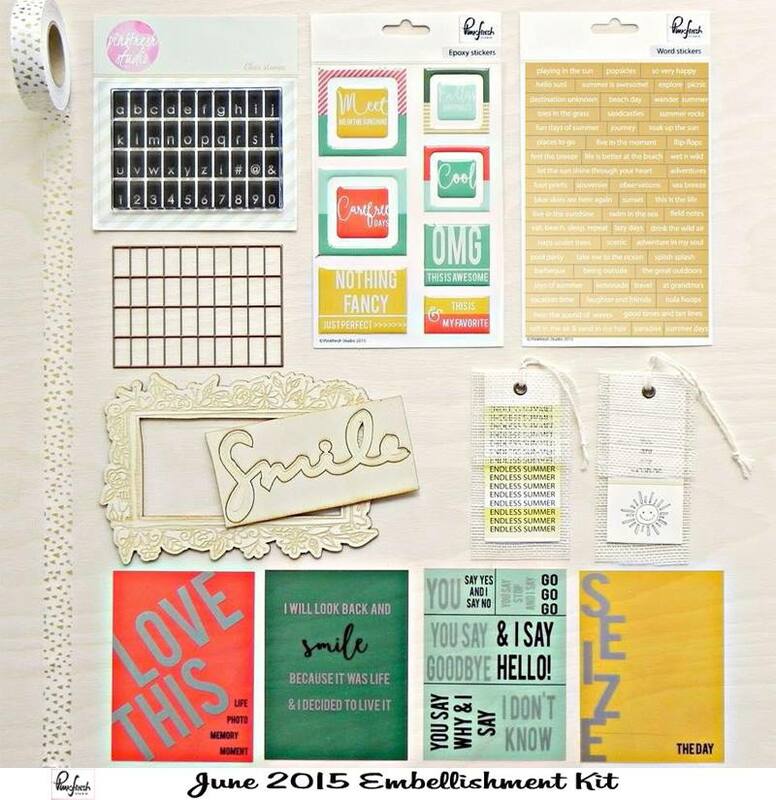 Welcome to the Pinkfresh Studio June kit reveal blog hop! If you came from Agnieszka's blog, you are in the right place! If not, head over to the Pinkfresh blog to start from the beginning. I love how bright and cheery this kit is! It screams summer! I'm not even sure I can bring myself to pick a favorite item. Those gold word stickers! That awesome triangle washi! The epoxy stickers!? I. just. can't. pick. 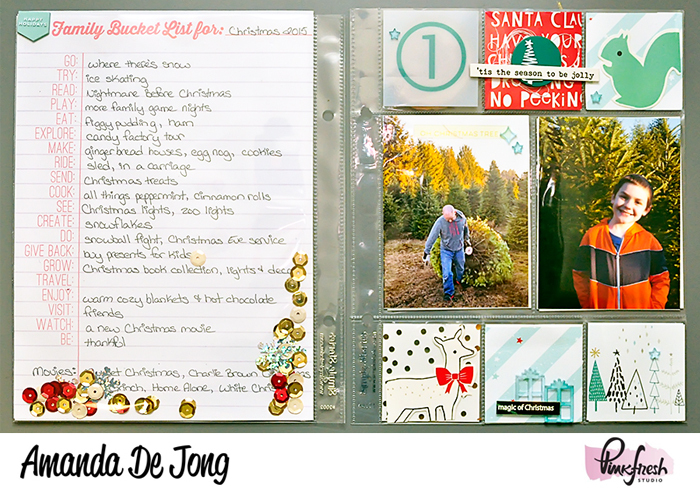 The acetate cards are so fresh and fun too! The picture here does not even do this one justice. Be sure to like Pinkfresh Studio on Facebook and Instagram for more inspiration. 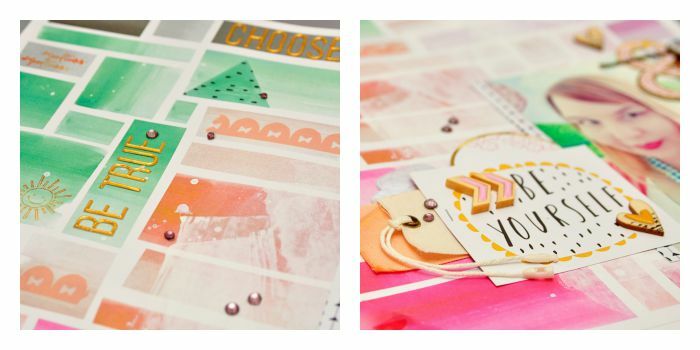 Don't forget to stop back at the Pinkfresh Studio blog and leave a comment for a chance to win the June embellishment kit! The winner will be chosen on the 22nd. Hello there! 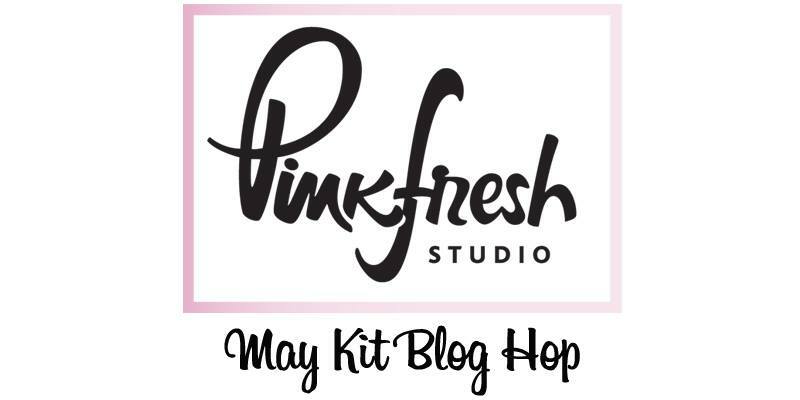 Welcome to the Pinkfresh Studio May kit reveal blog hop! 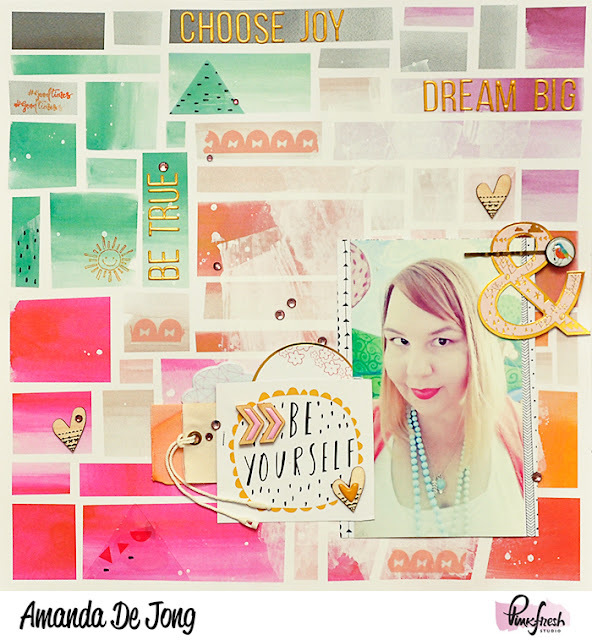 If you came from Agnieszka's blog, you are in the right place! If not, head over to the Pinkfresh blog to start from the beginning. I had some fun with this kit! I really loved the stamp set this month. Then again I do every month! I started with repeatedly stamping that fun doodle frame to create a grid like pattern for my background. Of course, I can't leave it that simple! I used a couple stencils with paint and modeling paste, stamped, misted, embossed. Pretty much a little of everything. I used the glassine envelope that the veneers in the kit came in to create a little confetti pocket layer behind my photo. I filled it with the yellow heart sprinkles as well as the blue square sequin from the March kit. Epoxy stickers are pretty much my favorite thing ever. I love both the badges and the two tone diamonds in the kit. I had to restrain myself from using more of them on this layout! 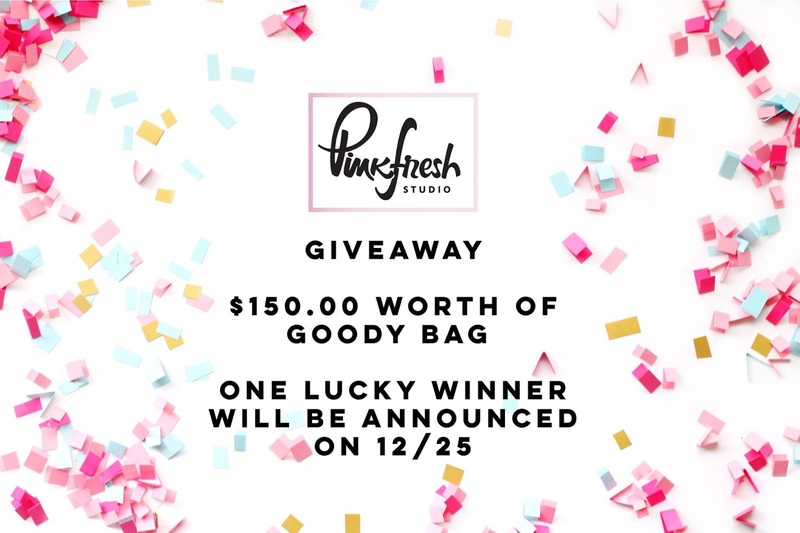 Be sure to like Pinkfresh Studio on Facebook and Instagram for more inspiration. 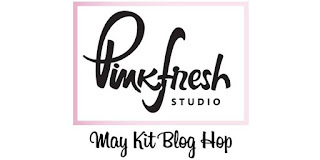 Don't forget to stop back at the Pinkfresh Studio blog and leave a comment for a chance to win the May embellishment kit! The winner will be chosen Wednesday the 22nd.